Hosted by Fordham Law School Community Economic Development Clinic, Office of the Taxpayer Advocate at NYC Department of Finance, NYC Public Advocate & 596 Acres. Does your nonprofit or church own property? Learn how to get and keep property tax exemptions. Did the city send you a notice of a tax lien? What can be done? Who can help? Join us for an evening discussion, with help and solutions. More details about community property and the tax lien sale here. 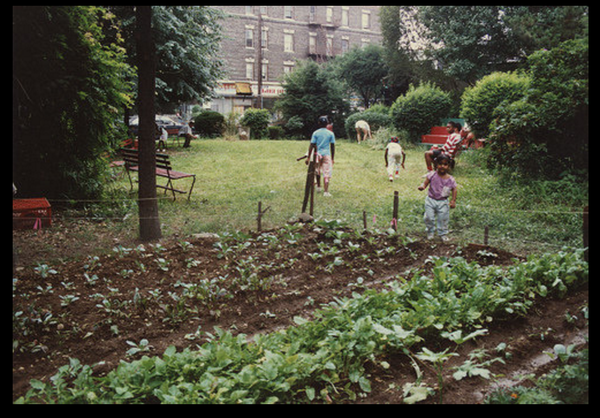 Image above: 1100 Bergen Community garden, owned by its block association for decades, was at risk of having tax debt sold to an investor-backed trust when an administrator failed to file the annual property tax exemption renewal. We worked with gardeners and Mohen & Segal LLP to transfer the land to Brooklyn Queens Land Trust to protect it from foreclosure and auction to the highest bidder.